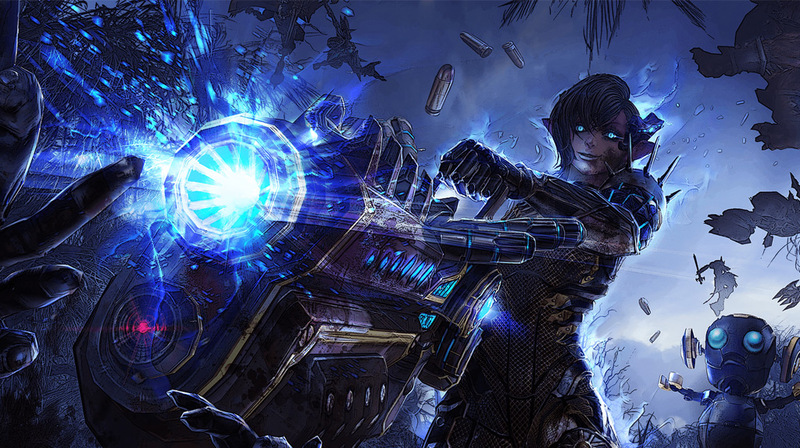 For years now, we've all seen that pattern – a new MMO comes out to much fanfare, be it Bless Online, or Revelation Online, or Blade and Soul. That game captures the public imagination for a short while, but then, before you know it, the population dwindles; servers are closing left and right and the game either dies completely or is left in the hands of a disheartened and often embittered few. And because of this there have been countless posts and videos about MMORPGs being a dying genre for nearly as long as I remember playing them. The problem is a simple matter of economics. MMORPGs take a long time and a great deal of money to produce and studios have very little faith that they will get a reasonable return on investment. The thing is, Hollywood has done amazingly well with a very similar business model. You doubt it? Well, just look at this example: it takes years to produce a film; countless hours, and nearly countless dollars are spent on writing, scouting locations, filming, a reputable cast and the nearly inevitable CGI work; and yet most of them make money hand over fist. So perhaps our problem with MMORPGs is a conceptional one. As I was writing the first draft of this post, I had the latest Tomb Raider movie playing on a side screen. If you’re reading this essay, it’s likely that you saw the ads, maybe got pulled into the buzz. Perhaps you caught it in a cinema near you or ended up downloading the flick by whatever means. But for all that, the Tomb Raider movie from 2018 has had its day in the sun and no one is the less concerned that the movie isn’t playing at the Regal anymore. So maybe devs and promoters of the MMORPG genre (and other MMOs, for that matter) would be much better off viewing an MMO very much as a film, with the long development and pre-release hype included. And understand that you must make your money back and hopefully some extra revenue in that initial surge of interest. What if we think of servers as movie screens? We expect an initial surge of interest, justifying dozens of servers. But just like any movie audience, the MMORPG audience (us, players) will soon move on to other games. Each passing week means that all movies will see their screen count drop, as well as the interest fade. So, we must accept that, over time, the server count of any given game will diminish in a similar manner. It is simply the nature of the business, and we have seen it too often, for too long to deny that reality. 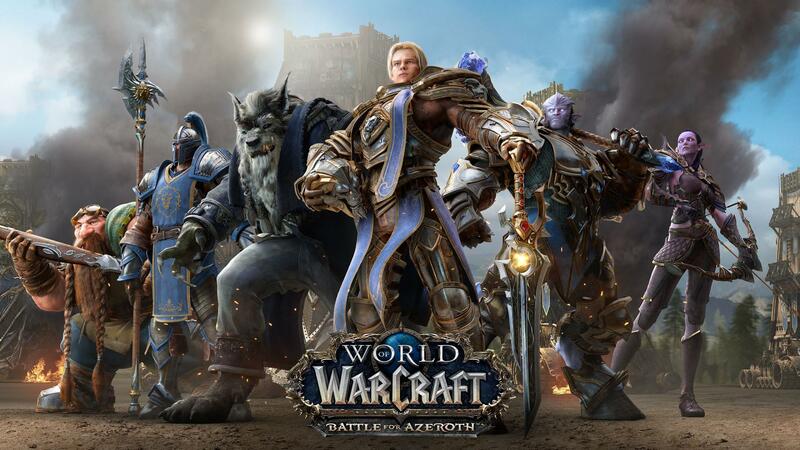 I think that studios need to realize that producing a World of Warcraft clone will turn out to be a fluke, extremely unlikely to become a blockbuster akin to the original Star Wars movie, which played during all Summer the year it was released. Instead, said studio needs to view a new game much like a new film with more modest goals; like the new Tomb Raider movie cited above. 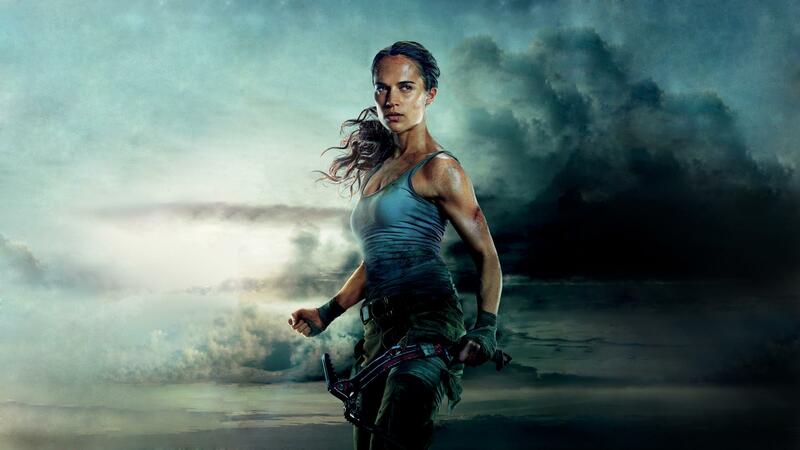 While I'm sure that the producers, director, studio and actors all had high hopes for Lara Croft's latest incarnation, they also knew that it wouldn’t be a movie to play all Summer, that would mean the luckiest of breaks; but they knew that success was possible, and money could still be made, without achieving such rare and memorable heights. Given our ‘Game as a Movie’ model, I think that studios would do well to consider a ticket concept for the release of any given game. It seems clear that the free-to-play business model is not working out as well as they all would hope (too much competition or flawed, unfair implementation), and dropping some pay-to-win system on your community will backfire – players hate pay-to-win (even the tiniest glimpse of it), and it will push your player base out the door that much sooner. Now, in the case of a theatre, you buy a ticket for access to your virtual space, your world. Like a movie ticket, that ticket might cost you… let’s say, $5 to $10, which is not a huge amount of money for most players. In return, the player receives something around two weeks to a month’s access to the world in question. The studio will then keep your toons in a server for the coming year or two, so that you can renew your ticket anytime, or buy a long-term subscription, just like FFXIV and other older MMORPGs. However, at no time you would be required to make a $40, $50 or $60 drop in one go, nor do we have a mandatory monthly subscription to firmly obey. Most adults usually have more than one interest – some weeks I am writing, some weeks are devoted to gaming, sometimes it may be 3D art. While I have no beef with paying a nominal fee at the door for access to Tera, Guild Wars 2 or Black Desert Online when I am playing them, I have absolutely no interest in paying for access that I'm barely going to use, or at all. For me that's one reason World of Warcraft is not on that list. Subscribers of course have their place as the sustaining members/players of the world, and they deserve their perks, if those perks are largely cosmetic. I would also suggest that you should get a free ticket for any sequels/expansions that drop and maybe a free Beta ticket. As the sustaining population of a game, I think the devs would be well served by looking to their most loyal audience for input into the direction of a game and its future content. At the same time, I would say this to any devs that might be reading: choose your style, your genre, your vision; be fiercely true to it, despite of the trolls and design the best damn game that you can. Let your audience come to you, don’t chase the butterfly! I have been an artist far longer than I have been a “gamer”. As an artist, I have a fascination with Tarot decks and currently own at least 50. However, after my first year or two I purchased some blank cards and started trying to produce my perfect deck by taking one image from this deck, and another image from that other deck. It was only after years of collecting that I came to a very important conclusion: there is no perfect deck, and my ideal deck would never be more than an idea. Because it was a mashup of many decks with conflicting art styles, visions, and esoteric traditions. I think gaming, MMORPG gaming at least, is at a similar moment for many gamers. The game they are seeking, as they jump from game to game, genre to genre, does not exist, and cannot exist. Because it is made of their personal mental composite of perhaps dozens of games sporting differing, and often conflicting, visions, mechanics and emphasis. And the devs can never satisfy this audience, or even keep them happy for more than a short while. What they can do is, as I said above, be true to their vision of the game. Be true to the players that love your game and stop listening to the damn gamer trolls. They are never happy unless they are miserable or making someone else miserable by slagging other players or your hard work. We'll never get the troll completely out of gaming, but we can stop kowtowing to them. Remember, the more troll-friendly you make your game, the less welcoming the environment will be for the rest of your players, and this toxic environment will push new players away. Guild Wars 2 has a wonderful mechanism where experienced players can purchase leader tags, advertising their willingness, and ability (these tags are not cheap) to teach the game to newcomers. 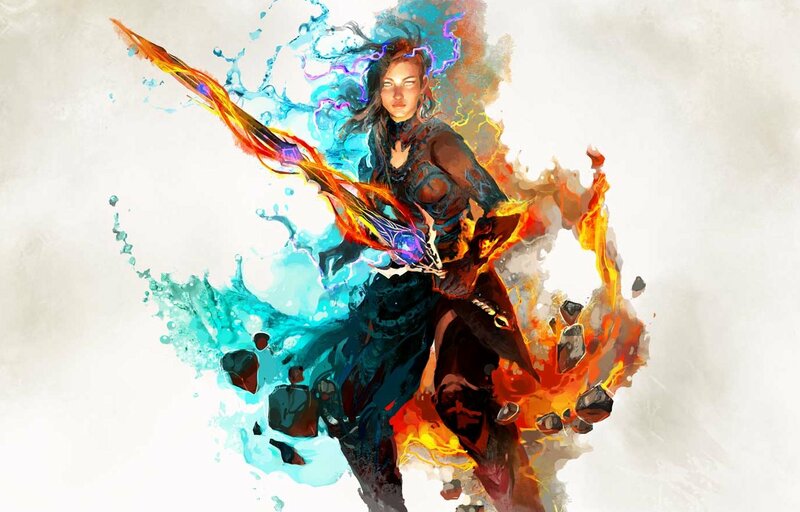 Do not confuse skill with attitude – Guild Wars 2’s population demonstrates the impact that highly skilled but positively motivated players can have on a game. And let’s not talk about “Dying MMORPGs” as a dramatic thing anymore. Each game has its natural cycle and it’s perfectly understandable that most of them – just like any movie – shut down after a few years. Only the best of the best will remain, while new games will keep coming at a regular pace. Who knows if the next Star Wars/World of Warcraft is already in development somewhere in the world.